Hyperpigmentation is something that many people deal with. The word sounds complicated but it is very simple, hyperpigmentation is the discoloration of the skin. 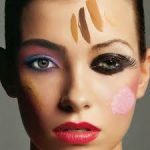 Parts of your skin will take on a color that does not match the skin tone on the rest of your face due to an excess of melanin, the substance that gives our skin color. Even though this isn’t a serious or fatal condition it can still be a pain to deal with. Hyperpigmentation can range from a dark spot on skin to large dark patches of discolored skin. It makes your skin tone look patchy and uneven, and it detracts away from the beauty of your face. Instead of looking at you beautiful eyes and stunning bone structure people are looking at your hyperpigmentation. It can be tricky to treat because there can be several different causes, but it is possible to treat. Follow our guide of how you should address your hyperpigmentation and how to reveal the glowing skin that lies beneath it! The first step that you are going to take is figuring out why you have hyperpigmentation. As stated previously, hyperpigmentation can be caused by several different things. 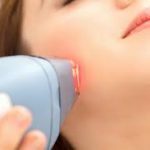 Dark spots can appear on your face due to sun damage, a skin infection or rash, pregnancy, age, an acne scar, an excess of iron, and also from the use of some medications. There are causes that you may not be able to do anything about such as pregnancy, dark spots caused by an infection, and age. These are causes that you will simply have to combat after the hyperpigmentation has appeared on your skin. However, it is important to try and narrow the cause down because there are causes that you have some measure of control over. For example if your hyperpigmentation is being caused by a reaction to a medication that you are taking you can consult your doctor and try to get put on a different medication. If it is caused by an excess of iron you should evaluate whether or not you need to be taking iron in order to make up for a deficiency in the body or if the excess iron intake is something that you can eliminate. When hyperpigmentation is caused by a rash or skin infection it is often a reaction to a product that has been used on the skin. If you can pin point the product that caused the bad reaction you should, and you should stop using it. exposure can lead to premature wrinkles, a leathery skin texture, as well as hyperpigmentation. The sun emits radiant heat, which provides warmth and light to the earth and its inhabitants. There are two types of rays that make up sunlight. UVA, ultraviolet A rays and UVB, ultraviolet B rays. UVA are long rays of light that can age us and UVB are short rays of light that can burn us when we are not protected against them. Our skin is like a shield. It protects our bodies and it has defense mechanisms that are triggered when your skin has been exposed to the rays of the sun without a protective layer it produces melanin. 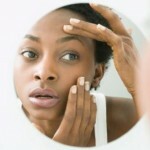 You may be wondering why your skin would be prompted to produce the substance that gives our skin color. That is because melanin has more than one purpose. It also protects layers of our skin. Even after your skin calms the dark spots that the overproduction of melanin created can remain on the skin. The best thing that you can do is limit the amount of time that you spend in the sun, and if you do spend any significant amount of time in the sun always wear protective clothing or sunblock. Remember that you don’t have to be in direct sunlight to be subject to harmful rays, they can reach you through the cover of the clouds. 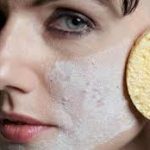 The best thing to try and do is prevent it, but once the skin has been discolored you should find a topical treatment that has the power to fade hyperpigmentation and renew the even tone of your skin. Juvabrite skin whitener from Solvaderm Skincare is a product that has the power to eradicate hyperpigmentation. It is a targeted product that uses hyaluronic acid, brightening seaweed extract, and other botanicals in order to repair the skin and remove discolored spots on its surface. David Gomes completed his M.S as a Professional degree in California institute of Technology. He is Health and Wellness Expert. He lives in Oakland, California, USA. He loves to write on a variety of topics such as joint health, weight loss, beauty and skin care for blogs and online publications sites, also loves latest technology, gadgets fashion and style. David also takes pleasure in riding bikes, likes to eat, especially the fresh veggies and organic food. He has started a self-owned business .You can connect with his on Facebook and twitter.